A polar bear watches some visitors to it's natural habitat. 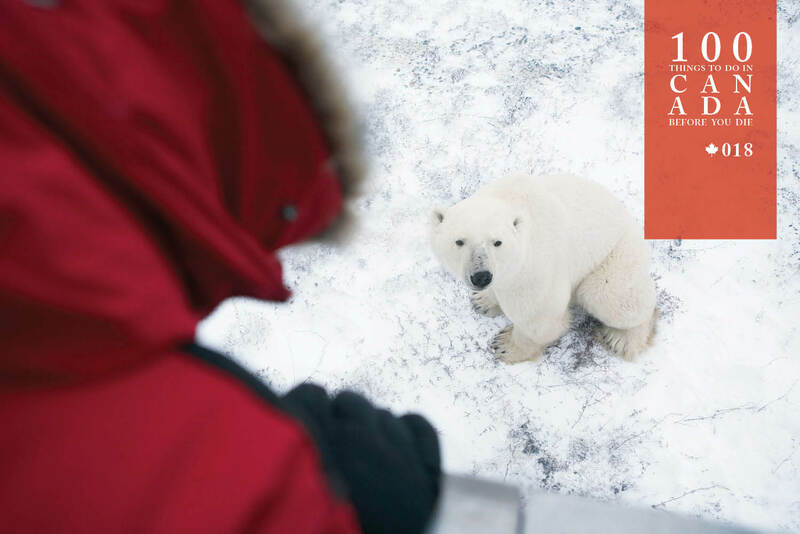 Seated in a heated cab above two-metre-high wheels, you’re beyond the reach of polar bear, as you’ll discover when one rears up to its full three-metre height and peers through the glass at you. Spend a little time with an arctic giant in Canada’s biggest polar bear show. It’s a sight to behold – but they’re also known to stalk humans for food, so it’s highly dangerous, unless you’re in a tundra buggy. Seated in a heated cab above two-metre-high wheels, you’re beyond the reach of polar bears, as you’ll discover when one rears up to its full three-metre height and peers through the glass at you on an unforgettable trip in northern Manitoba. 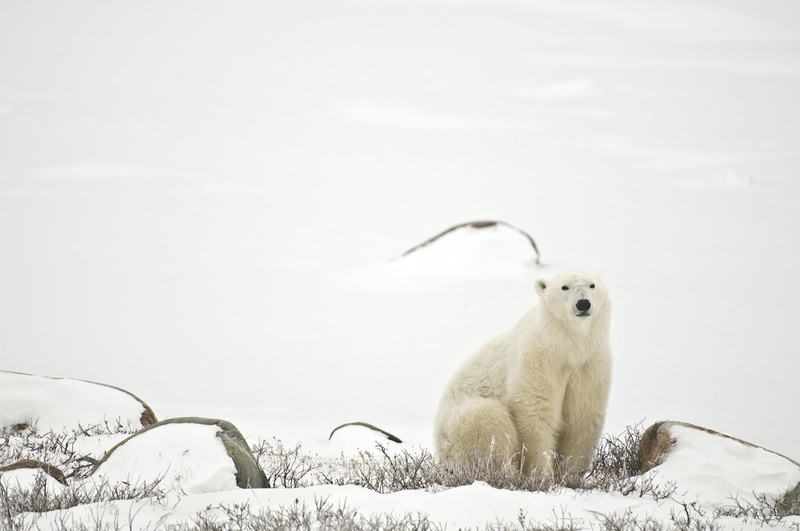 A two-day excursion around Churchill – “the polar bear capital of the world” – includes board at the Tundra Buggy Lodge, a mobile cabin-train of the same precautionary height, where you can sleep in a warm bunk, dine on home-cooked meals and stare up on a clear night at the Northern Lights. The US Geological Survey predicts two-thirds of the 22,000-strong polar bear population will be lost by 2050 due to global warming, which shortens their precious hunting window. Sign up for the Tundra Buggy Lodge Adventurer with Adventure World. Find out more here. The five-day Tundra Buggy Lodge Adventurer departs from and returns to Manitoba’s capital city of Winnipeg during the months of October and November.